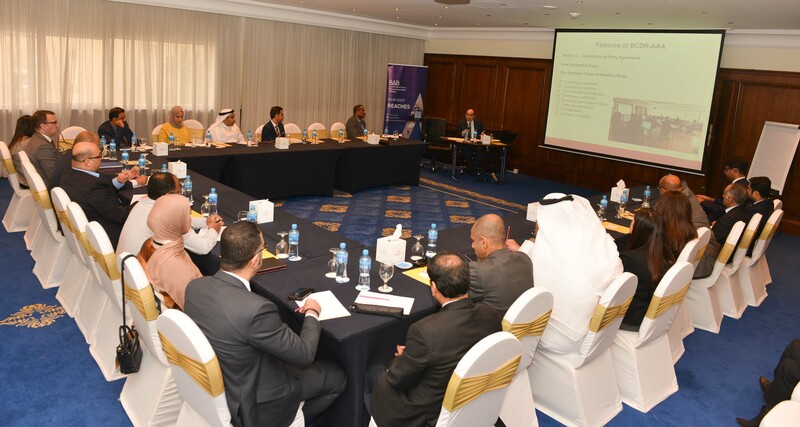 On Sunday 25 November 2018, the Bahrain Chamber for Dispute Resolution (BCDR-AAA) met with over thirty leading members of Bahrain's banking and finance community at the Crowne Plaza Hotel in Manama for a breakfast seminar organized with the Bahrain Association of Banks (BAB). 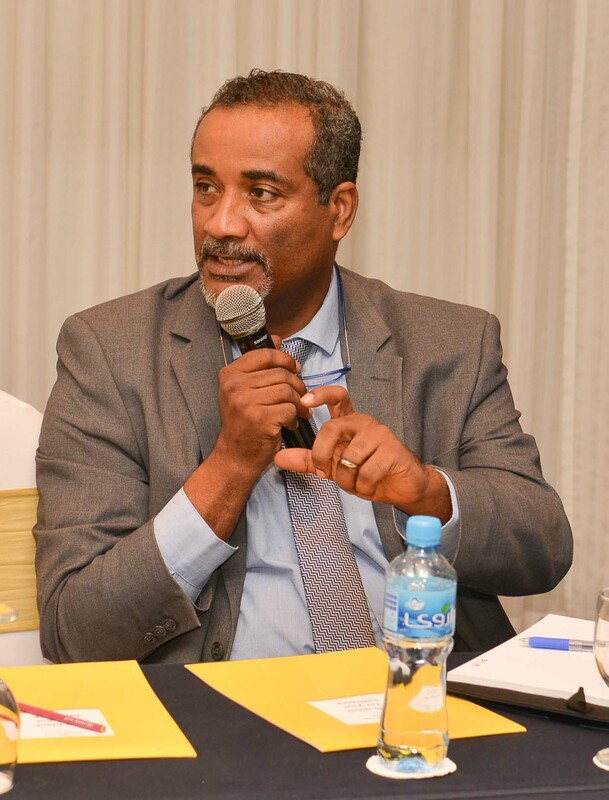 BCDR-AAA was represented by Nassib G. Ziadé, its Chief Executive Officer, who spoke about recent developments at the institution, and by Ahmed Hussain, BCDR-AAA's Chief Registrar. This was the first of a planned series of meetings aimed at ensuring that BCDR-AAA continues to meet the needs and expectations of BAB members. 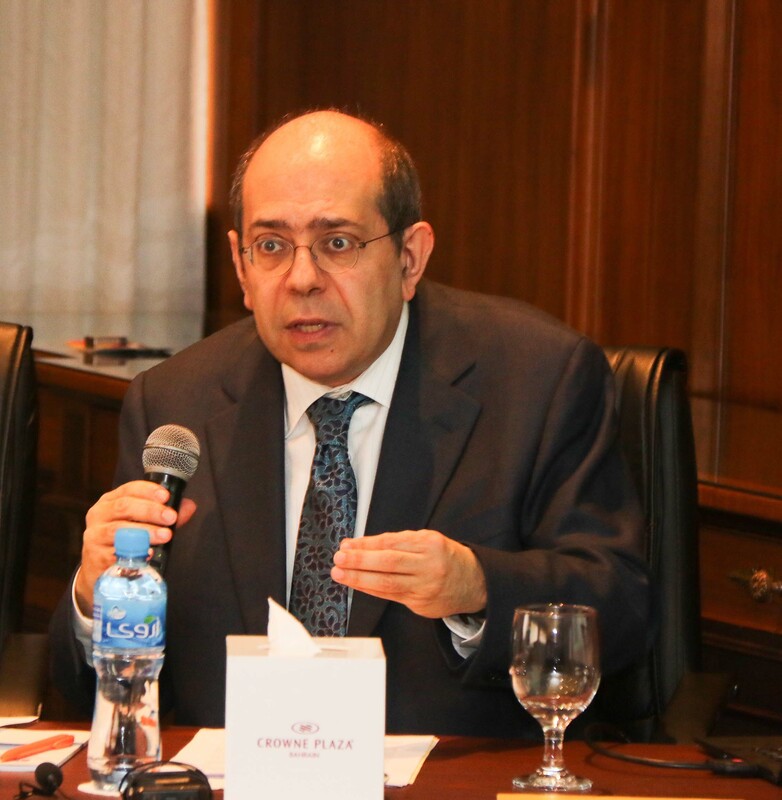 Professor Ziadé described the two types of jurisdiction conferred upon BCDR-AAA. First, BCDR-AAA assumes mandatory jurisdiction, in place of the Bahraini courts, over disputes involving claims exceeding BHD 500,000 (USD 1.3 million) in which at least one party is a financial institution licensed by the Central Bank of Bahrain, or the dispute is of an international commercial nature (so-called "Section 1" cases). Second, BCDR-AAA has jurisdiction over disputes referred to it by written agreement to arbitrate or mediate under BCDR-AAA rules. BCDR-AAA may also administer ad hoc arbitration and mediation proceedings, including under the UNCITRAL rules. Arbitration and mediation proceedings administered by BCDR-AAA are referred to as "Section 2" cases. 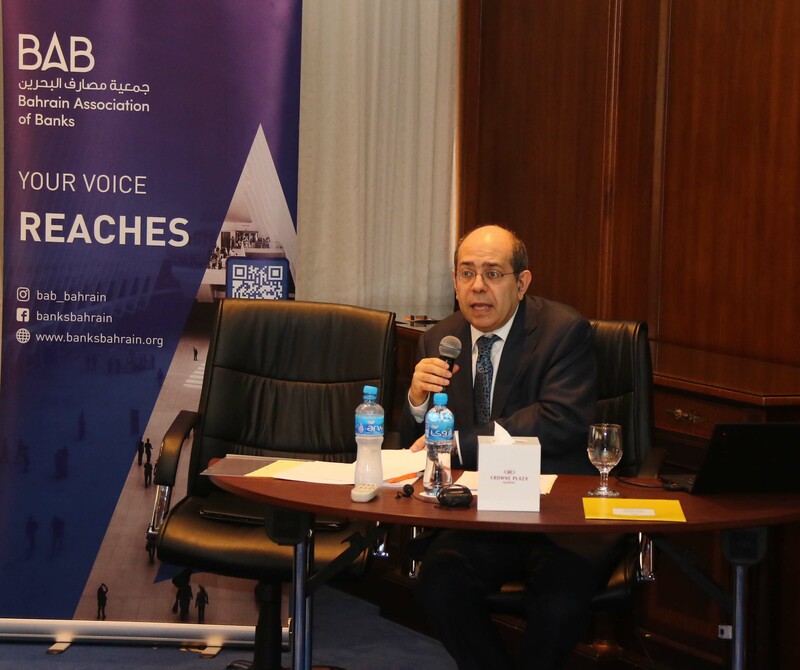 Professor Ziadé said that, as of 30 September 2018, BCDR-AAA had administered a total of 225 Section 1 cases, with a combined value of some USD 3.92 billion. Judgments or settlements were reached within six months in 30.2% of cases, between six and twelve months in 39.6% of cases, between twelve and eighteen months in 10.2% of cases, between eighteen and twenty-four months in 6.2% of cases, and after more than twenty-four months in 3.1% of cases. The remaining 10.7% of cases were still pending. Professor Ziadé then presented an overview of the 2017 BCDR-AAA Arbitration Rules. Available in Arabic, French and English versions, each of which is equally authoritative, the rules incorporate best practice and standards in international arbitration. Notable innovations in the 2017 rules include expedited procedures for claims that do not exceed USD 1 million (or where parties have agreed to use the expedited procedure regardless of the amount of the claim), under which disputes are heard by a sole arbitrator who must render an award within thirty days of the close of the proceedings; a new fee schedule, making BCDR-AAA arbitration more accessible to users and placing clear limits on arbitrators' fee rates; and a new summary procedure allowing tribunals to dispose of unmeritorious claims on a summary basis. Professor Ziadé concluded by saying that these developments, along with BCDR-AAA's state-of-the-art facilities, and a supportive Bahraini judiciary, created a positive environment for the resolution of commercial disputes at reasonable cost, reinforcing Bahrain's position as a leading dispute resolution venue, both regionally and internationally.